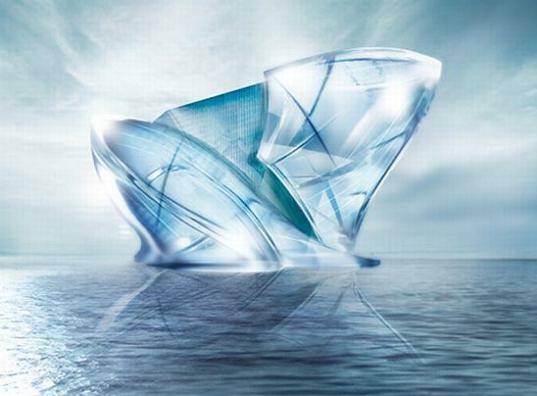 Blue-Crystal The Iceberg hotel in dubai? Posted byshashank July 24, 2009 April 13, 2019 Leave a comment on Blue-Crystal The Iceberg hotel in dubai? You might have heard about the ice-hotel in Russia, which architects build around the Christmas each year. 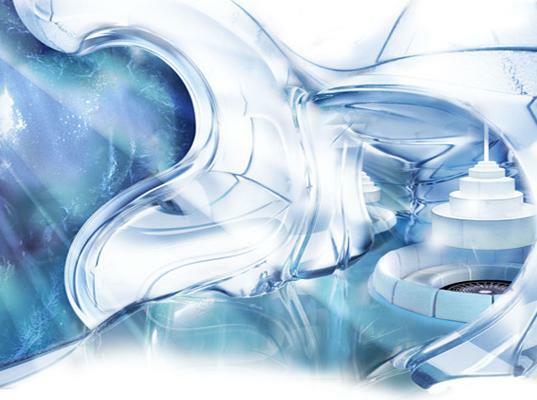 Dubai is getting a permanent ice hotel, Blue Crystal that would float in the ocean around the year. Dubai has been turned into city of magnificent structures that has never been ever been build anywhere else in the world. Like the Al-burj , palm island and the newly completed The World Islands. 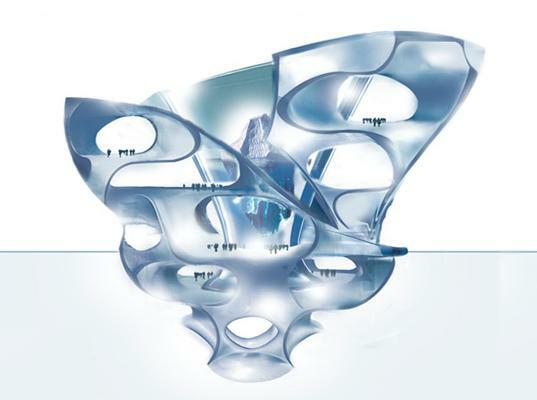 Blue Crystal shall carry a multiplicity of luxurious restaurants, an underwater lounge and a ballromm on 5 levels. A blue landscape of ice that turns into a pole of silence, far away from the hectic city. But still we all know how much electricity goes i our refrigerators to have some cubes of ice and here they have to keep a whole iceberg from melting when it floats in boiling waters and gets direct sunlight. But we never doubt Dubai as it has already shown the world there is nothing impossible in Dubai.